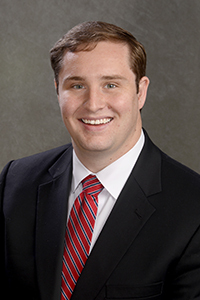 James is a graduate of Georgia Southern University with a Bachelor of Business Administration. He also holds a Master’s degree in Business Admin from Louisiana State University. He is currently the Financial Advisor for Edward Jones in his office in Evans, Georgia. James enjoys Scuba Diving, Traveling and Reading and Football (we are not sure in which order). He and his wife Sally have enjoyed extensive traveling and their goal is to eventually visit all countries, one at a time. James is interested in his community and maintains strong relationships with his clients and wants to give back to the community he serves. He joined the Board of When HELP Can’t Wait in 2018 and was immediately elected President. He comes to the Board with lots of professional training and financial acumen. His always friendly smile and personality make him a perfect choice for President of a young energetic and active Board of Directors for this non-profit. James and his beautiful wife Sally live in Martinez, Georgia.